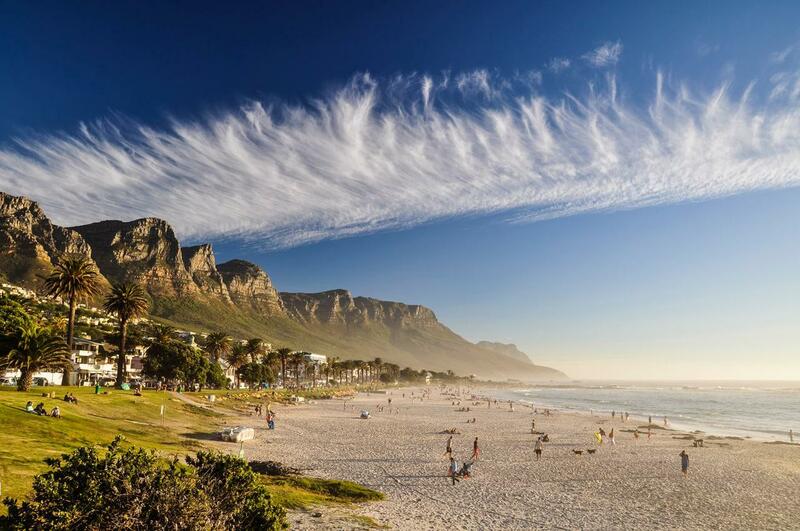 With Cape Town being on everyone’s bucket list, don’t miss the opportunity to visit this city that’s loved the world over. You can still join the thousands of Cape Town fans, even if your wallet feels a bit light during the current recession! Avukile Mabombo, Group Marketing Manager of the Marriott International Regional Office in Cape Town, shares some tips for how to avoid the ‘Mountain Tax’ that pushes prices up as well as the long queues that are seen at some of the spots in this adored destination during the year-end season. Plan, plan and plan again: If you do research well in advance of year-end, you’ll be able to work out an itinerary for your stay to make it a really positive one. This means looking at options for where to stay over, how to get to the city (drive or fly, for instance), local transport facilities that you may want to use, and which popular sights you can pre-book ‒- a great way to limit the amount of time spent in queues. Look for special offers: Recognising that South African consumers are finding things tough at the moment, some companies are encouraging locals to visit by offering discounted rates for particular activities. Choose restaurants carefully so they don’t eat up your budget: When it comes to restaurants, Cape Town has some of the best in the country ‒ in fact, in the world. But these can be expensive, and some even have lengthy waiting lists. So, if you plan on enjoying the cuisine of a top-rated restaurant, you should find out now whether they can still take bookings for the time of your planned visit. While it’s a great experience to eat among the vineyards on a wine farm in the winelands, research the prices at the different farms. Some of the most well-known places are geared for the international visitor with their dollars or euros, so don’t get caught out. Farms like Lourensford and Blaauwklippen are the sites of lovely food markets a few times a week. This option is far more affordable and one can savour the cuisine of the whole world with the many nationalities represented at these markets. So, too, if you’re watching your spend, avoid eating at places in the most touristy of spots. You’ll find great restaurants in suburbs that aren’t in the heart of the tourist area. Investigate transport options: Check out flight prices now using flight comparison sites. Considering the longest domestic flight to Cape Town is just two hours, low-cost airlines are a good option: you may feel like you’re sitting in ‘cattle class’ but it’s not for a very long time. Flight prices are also often lower if you book in advance ‒ plus you’ll have more choice about the time of day you can select for your flight. If you think you must have a car when in Cape Town, think again. A hire-car is useful for trips outside the city itself, but there are far cheaper options for in-town trips ‒ and you don’t have to drive around for ages to find a parking spot! Many attractions are within walking distance once you’re in the city. And the MyCiTi bus service has 42 stations and 760 stops in many areas of Cape Town. To use the service, you’ll need a ‘myconnect card’. You can buy the cards, and top them up, in a large number of locations across the city (this information is available online). Parents of young children will also be pleased to know that children aged four and under travel for free. The Cape Town City Sightseeing Hop-on, hop-off bus is another great way to get to major attractions (with over 50 accessible from more than 30 stops). There are various packages available, which work out significantly cheaper than if you were to pay separate taxi fare to even a small selection of available attractions. You can also save money on your tickets by booking in advance online. Avoid the queues: Things are particularly busy during December, and most attractions are very full. So, if you can arrange your family holiday for January, you’ll find things to be a bit quieter. To avoid long waits in queues, book online in advance for certain attractions. It’s also good to time your visits to the most popular spots for a weekday rather than a weekend. Locals are more likely to take time off over weekends, so the attractions may be slightly less busy Monday to Friday. When shopping, choose to visit malls during the extended shopping hours at year-end and during the week, rather than over the weekend.